EarthCruisers are purpose built by EarthCruiser Pty. Ltd. a company owned and operated by talented individuals, with over 65 years of experience in their respective fields. Earthcruiser was originally designed to meet specific needs for an overland expedition vehicle that could go anywhere and was comfortable enough for two people to live for extended periods of time. After extensive research and development EarthCruiser design was born. 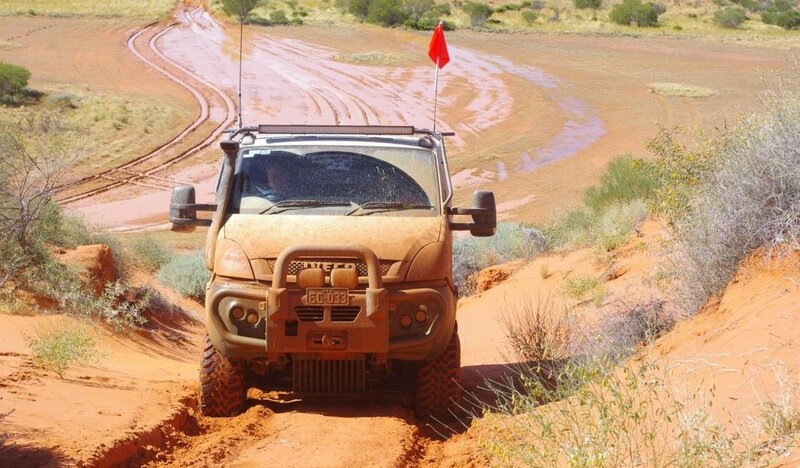 The initial successful testing of the prototype EarthCruiser included crossing 700kms of sand dunes leading to the remote Dragon Tree Soak in the Great Sandy Desert, in Western Australia and proving the suspension, on board systems, floor configuration and functionality. The prototype was then taken overseas for more testing and an arduous yet exciting 27,000km trip across Russia and Mongolia which included two crossings of the notorious ‘Road of Bones’, a swampy tundra track from Yakutsk to Magadan made famous by Ewan McGregor and Charley Boorman in the ‘Long Way Round’. The EarthCruiser team has 65 years of experience in component manufacturing for the transport industry and specialty bodybuilding for a number of applications. With a growing fleet of vehicles throughout the world EarthCruiser is the expedition vehicle of choice. To build the best Expedition Motorhomes in the World.